Spin To Win At Online Live Dealer Roulette! Perhaps no random number generation online casino game loses its muster and excitement more than that of roulette. That's why creating the Live Dealer Roulette Casino was so important to online gambling! The top casinos online in 2019 now provide Live Dealer Casino play for many popular games, but possibly the most fun you can experience comes from the roulette wheel! So what is a live dealer? Casino operators online have received plenty of concerns regarding random number generated games. Live dealers bring the brick and mortar experience online through video feeds from 100% legit gambling venues and studios. The live dealer is a person who physically runs the games in real time. To participate, first look to see if live dealer games exist at your casino. 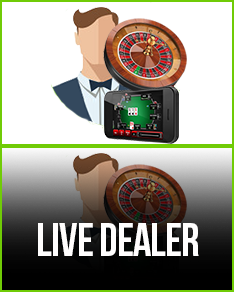 Live dealer is best experienced on high-speed Internet connections on a Mac or PC. 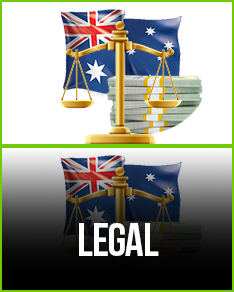 Australia casinos featuring online Live Dealer Roulette give players that authentic feel we've been looking for. Through a video connection with your casino, Live Dealer Roulette features a physical dealer, wheel, and game balls. Play at any one of our highly endorsed Live Dealer Roulette online casinos and you'll be gambling at only the safest sites! The main object of roulette is fairly simple. Your goal is to place your chips on the winning number, colour, or combination of both that appears on the wheel. You can also choose to pick even or odds, and black or reds. Roulette strategy should always be fully understood before playing Live Dealer Roulette. No practice play is available, you have to play with real cash, so learn in practice modes before entering a Live Dealer Roulette online casino. At an online casino, Live Dealer Roulette play is only offered with real money. This makes sense because the casino isn't going to pay a dealer to participate in practice sessions. If you've never deposited money to your Australian online casino account before, you'll need to do so before playing Live Dealer Roulette. 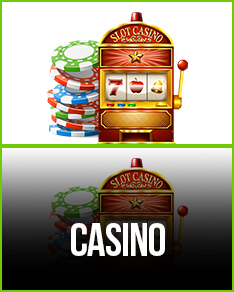 If you're playing in an online casino we've recommended, your deposit is safe and secure. You can deposit money with a credit card, debit card, e-wallet account like Skrill, and even directly from you bank account. Once you're at the casino Live Dealer Roulette table, it's nearly identical to being at one in a real casino. You place your bets by using your mouse and keyboard. Once your chips are on the table, the live dealer spins the wheel and you sit back and relax! The live dealer distributes winnings and collects losing chips quickly. The time between spins is about 40 seconds depending on the amount of betters. As you should know by now, Live Dealer Roulette is the closest roulette experience you can have away from a physical casino. Live Dealer Roulette has swept the Land Down Under as new Aussies put their chips on the table every week. No. 5: Top Bonuses! 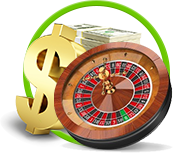 Just like every other Australian online casino, Live Dealer Roulette sites are offering free money for moving your business to their casino. 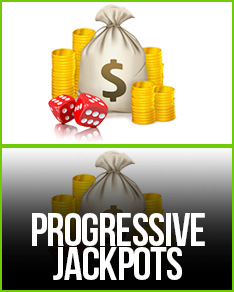 Live Dealer Roulette bonuses often double your first deposit! No. 4: Convenience! It's why you began playing online casinos in the first place: convenience. With Live Dealer Roulette, casino mobile gambling is as real as it gets, without losing one bit of convenience! No. 3: Real AUDs! A Live Dealer Roulette casino is for the serious gambler. This isn't practice time, it's winning time! And we're talking cold, hard, Aussie dollars! No. 2: Live, Trained Dealers! The live dealers at online casinos are highly trained. They have every bit of knowledge and professionalism as you would expect to receive at a big city casino. No. 1: Authentic Results! Although consistent testing of our recommended online casinos have proven RNG casinos are 100% fair, seeing the live dealer spin the roulette wheel is the reason we play!